The Institute For Wellness & Education Inc. Thank you for inquiring about The Institute for Wellness and Education, Inc. We would like to take a moment and provide some history behind our company. The Institute was established in 2000 by Jonathan Marquess. He has 18 years experience in Community Pharmacy Practice, Health-System Pharmacy and Academia. Dr. Marquess has provided education to his patients in the Community Pharmacy to providing education to Pharmacy Students at Mercer University, from 1996 until 2000. While providing education to pharmacy students and conducting research was certainly important, he felt the need to educate the public, employer groups and other health care professionals about various diseases. Dr. Marquess is the President of The Institute for Wellness and Education, a Disease Management Company. He is the owner and diabetes educator at two ADA recognized Diabetes Education Centers in Atlanta. In Addition, Dr. Marquess, and his Pharmacist wife, Pam, are the owners of three community Pharmacies in the Metro Atlanta area. Before assuming his current position, Dr. Marquess was a Clinical Professor of Pharmacy Practice at Mercer University School of Pharmacy in Atlanta. Dr. Marquess earned his Doctor of Pharmacy degree from Mercer University, Southern School of Pharmacy in Atlanta, Georgia. He has also completed The International Health Care Course sponsored by the Royal Danish School of Pharmacy in Copenhagen, Denmark, and APhAs Community Pharmacy Management Program. Dr. Marquess is a Certified Diabetes Educator (CDE) and Certified Disease Manager (CDM) in Diabetes. Throughout his career, Dr. Marquess has been actively involved in local, state and national professional organizations. He has held positions as Chairman of the Georgia Pharmacy Association (GPhA) Board of Directors and served as their State President. In addition, he has served as the Chairman of the APhA New Practitioner Advisory Committee. 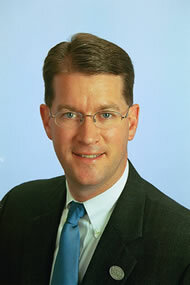 Dr. Marquess is a member of Phi Lambda Sigma and Phi Beta Delta.